Beautiful!! The embossing makes them so elegant! Thanks for playing with The House That Stamps Built. What a lovely duo! 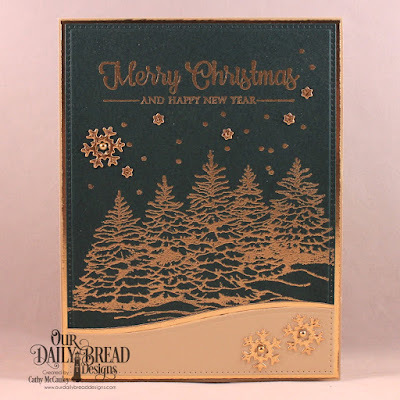 I love the gold embossing on your dark cardstock and using Versamark refill ink on the background is a great idea! Beautifully executed. Thanks for joining us at Watercooler Wednesday! 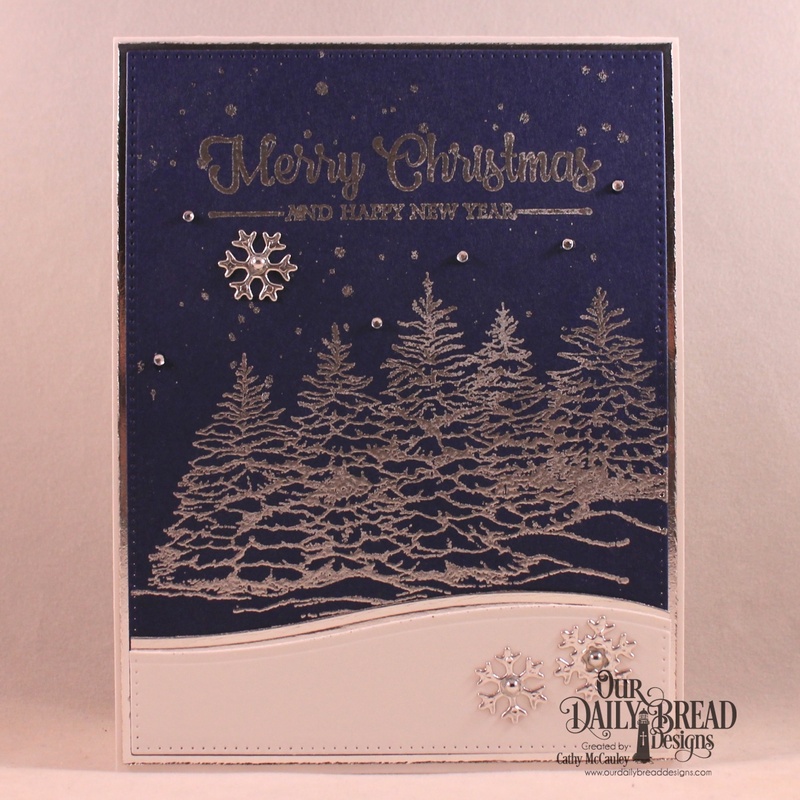 Thank you for sharing your lovely cards at Winter Wonderland. Oh my goodness, Cathymac, your cards and that gift bag are simply stunning. The gold is gorgeous against that deep green as is the silver against the deep blue. I'm not even certain which one I like better, they're both so lovely. 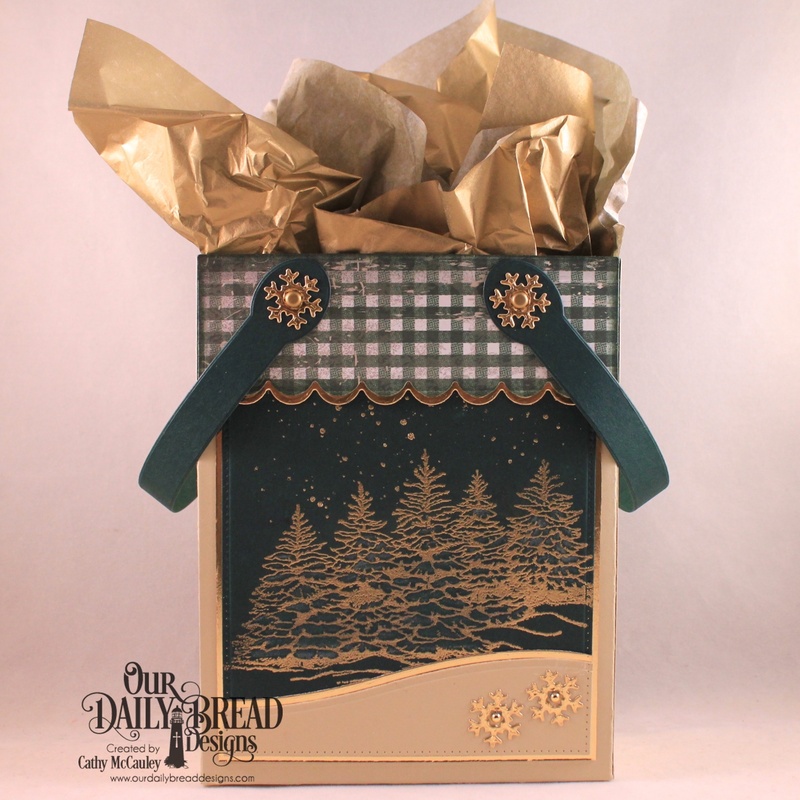 That gingham paper at the top of your gift bag finishes it off beautifully. Thanks so much for joining our Watercooler Wednesday Challenge this week. 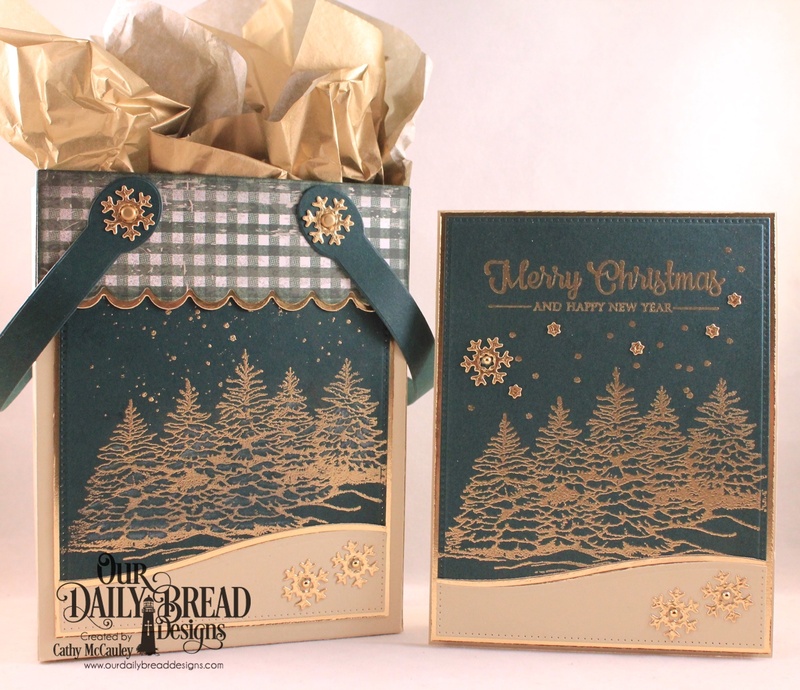 Both the card and the bag are both beautiful! Thanks for joining us at Watercooler Wednesday Challenges! 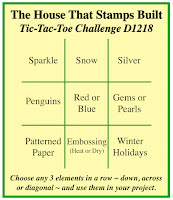 Thanks for linking your beautiful winter card and gift bag up to the Tic Tac Toe Challenge over on The House that Stamps Built! I love the clean-and-simple design and the added snowflakes! Beautifully done! What wonderful winter/Holiday cards and gift bag. Thanks for sharing this over at The House That Stamps Built.